The importance of eating a balanced diet containing all Macronutrient and Micronutrients. Micro and Macronutrients are nutrients that the body needs in order to function. There are 3 major nutrients that need to be consumed in large amounts: protein, carbohydrates and fat. These are needed for energy, growth and other bodily functions. Micronutrients – vitamins and minerals – play a supporting role and assist in the body’s chemical reactions that keep us alive. These bad boys are needed in trace amounts hence “micro”. Protein is arguably the most essential according to the roles it plays in the human body. 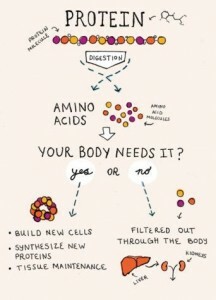 Familiar with the phrase “protein is the building blocks of the body?” The amino acids that make up protein are used to build DNA, cell membranes hormone receptors and a myriad of other very important things that keep us living and breathing. For athletes it aids in recovery and repairs muscle tissue. It is essential for how our body works, looks and feels. Too little protein, especially if you are dieting for weight loss can result in a substantial loss of muscle mass but this would be the least of your worries if faced with complications that may arise from a severe protein deficit. The same applies with too much protein, which would obviously also cause a multitude of health problems. If protein is considered the building blocks of the body, then carbs can be called the fuel that powers the machine. The most common way to classify carbs is as: Simple carbs and complex carbs. 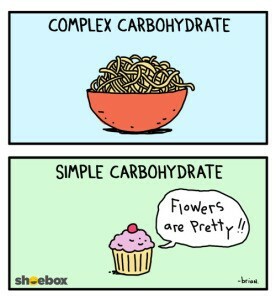 Simple carbs have 1-2 sugar molecules whereas complex carbs have longer and more complex chains of sugars. Carbs are important for energy production and before all you Banters get on my case – yes although fat stores can supply energy, carbs need to be present to metabolise fats at the rate needed to support the demands of exercise and sports. These little buggers also provide the brain with glucose and they are so darn nifty they can convert themselves into protein and fat if needed but only non – essential amino acids are produced, the rest you need to consume. Most of your carbs should come from whole veggies and fruits – not only does that mean you are less inclined to #eatlikeanasshole but you will also ensure you are getting enough micronutrients which includes fibre! Fibre is really important for our digestive health and it helps you poop! 2 outta 3 done and I guess I will admit that I saved my best macronutrient for last. Fat, besides being a major energy source (for every 1g of fat you get 9cals which is almost double the energy that is found in glucose) is like its predecessors a nutrient that fulfils a lot of important functions. It transports fat soluble vitamins A, D, E and K around your body. It insulates and cushions organs and insulates nerves cells. It also is responsible for maintaining the menstrual cycle and oestrogen. Best of all? Fat make you feel full since it leaves the stomach far more slowly than protein and carbs. 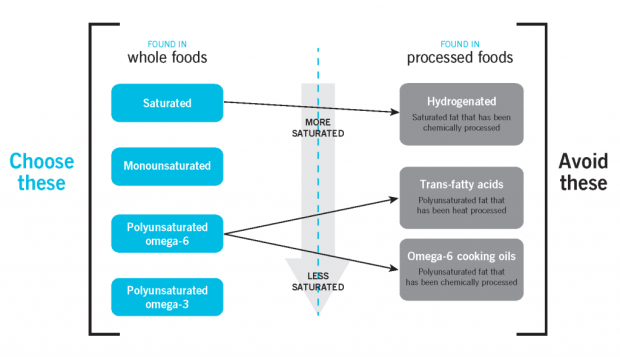 There are 2 basic categories of fat: Saturated and Unsaturated Fat. Unsaturated fats are liquid or soft at room temperature whilst Saturated Fats (animal fats e.g. butter, meat fats and tropical oils e.g. coconut oil) are solid at room temperature. All fats have a similar chemical structure but slight differences (length and shape of carbon chains and number of hydrogen atoms connected to the carbon atoms) results in differences within the body. From these 2 categories we can break fats down further into: monounsaturated (avocados, nuts, and olive oil) and polyunsaturated fats. There has been huge shift in thinking regarding fats which has seemed to have resulted in a lot of confusion regarding which type we should be eating. Have a look at this here graph. Thank Precision Nutrition! As you can see fat type alone doesn’t determine its healthiness but it source does. Simply put healthy fat is found in whole unprocessed foods and bad fat from crap processed food. So there we have it guys - an idiots guide to Macronutrients and their function in our bodies. Coach Tash CCF Level 1 & Level 2 Coach CCF Nutritional Advisor This is the 6th in an 8 week series of articles that will help you improve your healthy eating habits. They are meant to be a guide and a support, but just like anything you need to figure out how it works for you.